"Whenever we have needed a quick turnaround with a new/repaired pump, we knew we could count on Missouri Machinery & Engineering Co. to give prompt delivery and service. Our success with Missouri Machinery & Engineering Co. has extended our relationship to include annual maintenance agreements for the repair of submersible and turbine pumps." “Missouri Machinery & Engineering Co. has been an excellent resource for pump parts repair and replacement for AmerenUE’s Labadie Plant. Throughout my 10-year association with them, they have supported us by rebuilding our vertical turbine waste water system pumps. 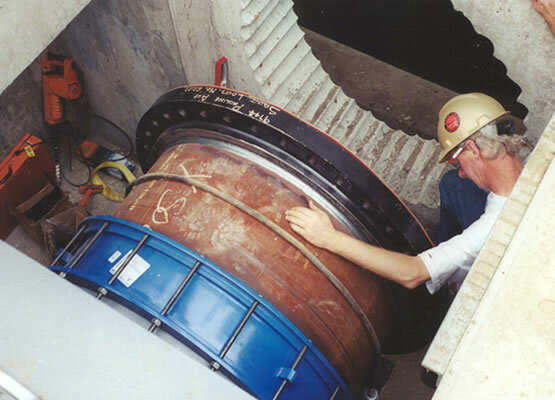 They worked with the pump supplier to redesign the bottom end on these pumps to handle the increased static head experienced because of changes in the discharge location.